For April 2019 there is one home listed for sale in the Creekside community of Palm City. This home is listed for $409,900 or $135.55 per sq. ft. of living area. 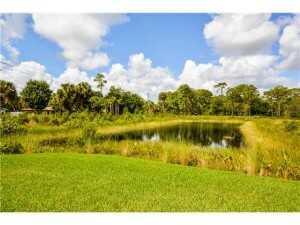 There are no homes currently under contract in the Creekside subdivision of Palm City. In the past 12 months, 1 home has sold in Creekside. The sales price was $395,000 which equates to $129.17 per sq. ft. of living area. This home was on the market for 192 days before going under contract and sold for 99% of the list price. 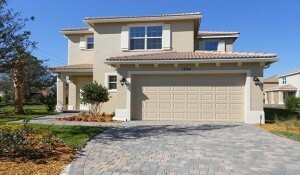 A small gated community in Palm City FL with only 18 homes. This is a Kolter built community that was constructed from 2013 to 2014. Homes in Creekside are all 4 Bedrooms or greater with 3 or more bathrooms and most are 2 stories with 2 car garages. Sizes of the homes range from just over 2,000 sq. ft. of living area up to over 3,000. Some of the homes have private pools. 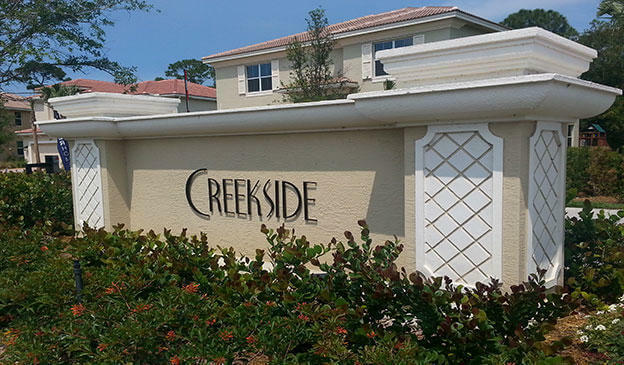 There are no community amenities in Creekside which helps keep the HOA fees a very reasonable $120 per month. Creekside is off of Sunset Trail in Palm City which makes it a quiet and private secluded location, yet still just minutes away from excellent shopping, restaurants, as well as access to the numerous waterways, beaches and golf courses the Martin County and the Treasure Coast of Florida have to offer. A very desirable community for children as this is an ‘A’ rated school district currently zoned for the Palm City Elementary School, Hidden Oaks Middle School and Martin County High School.